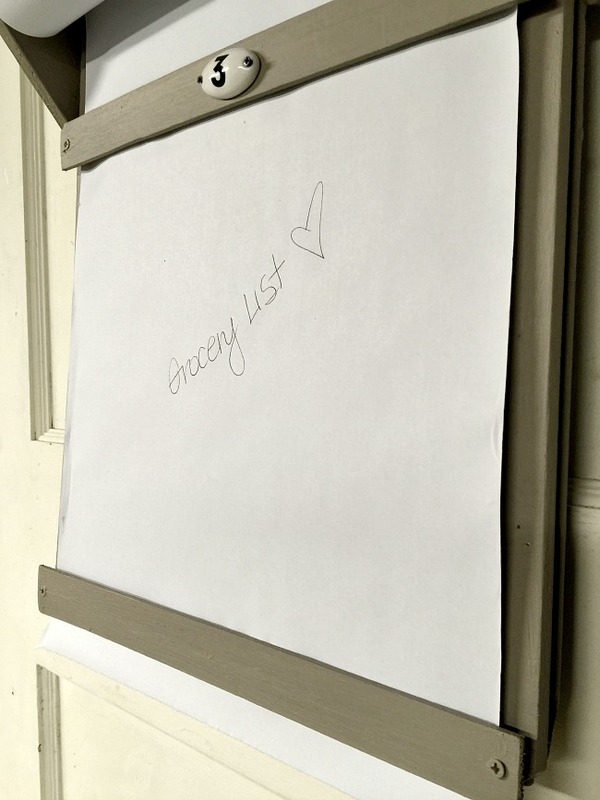 My grocery lists were very popular and sold right away in my Etsy Shop. 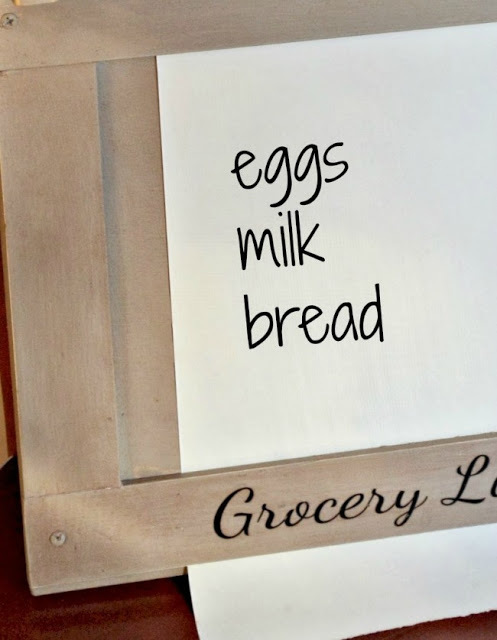 Recently I received an email from a new friend that loved my wooden grocery list and asked if I could custom make one for her... I said I'd do my best to re-create it. I began this project by building a frame using reclaimed wood from the shop. 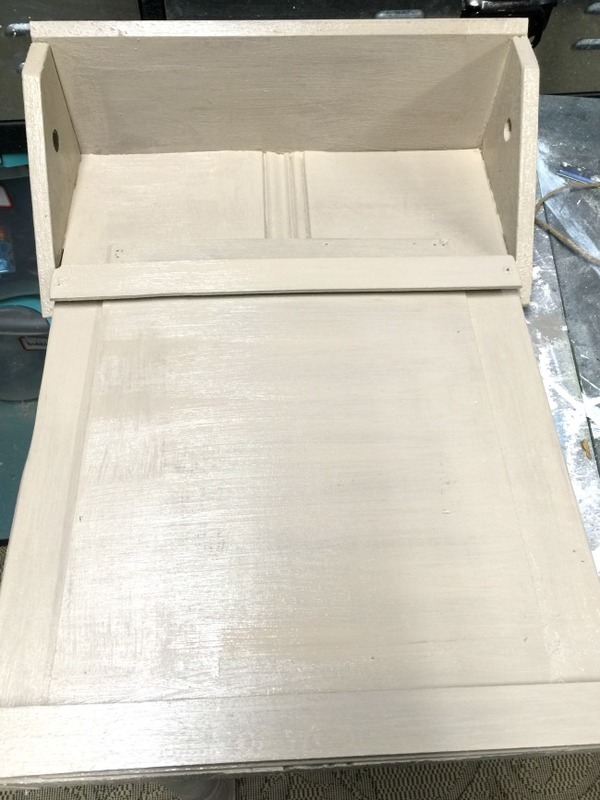 A little tongue and groove paneling, a piece of crown molding, wood scraps, and a copper pipe. 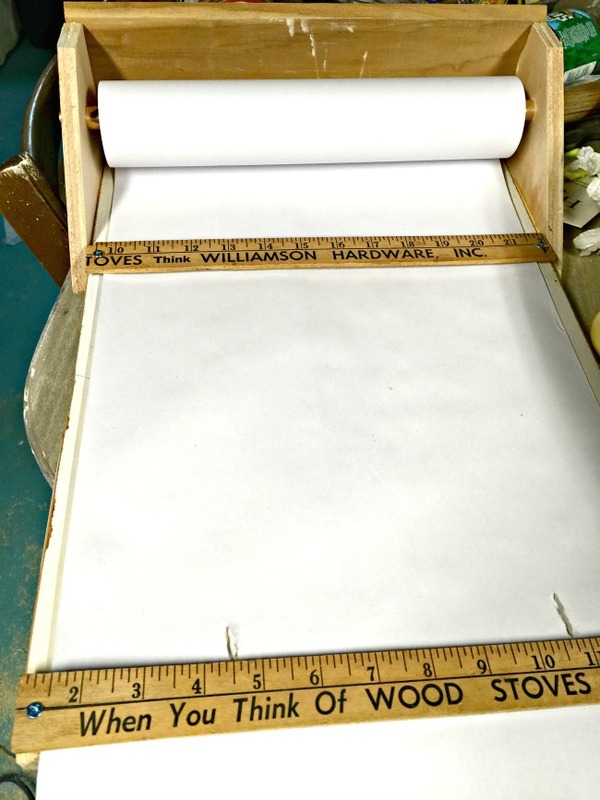 I used the copper pipe to hold the paper roll and I used vintage rulers for the paper to slide through. I added a thin piece of wood over the back piece of tongue and groove paneling to give it a smooth surface for writing on the paper. 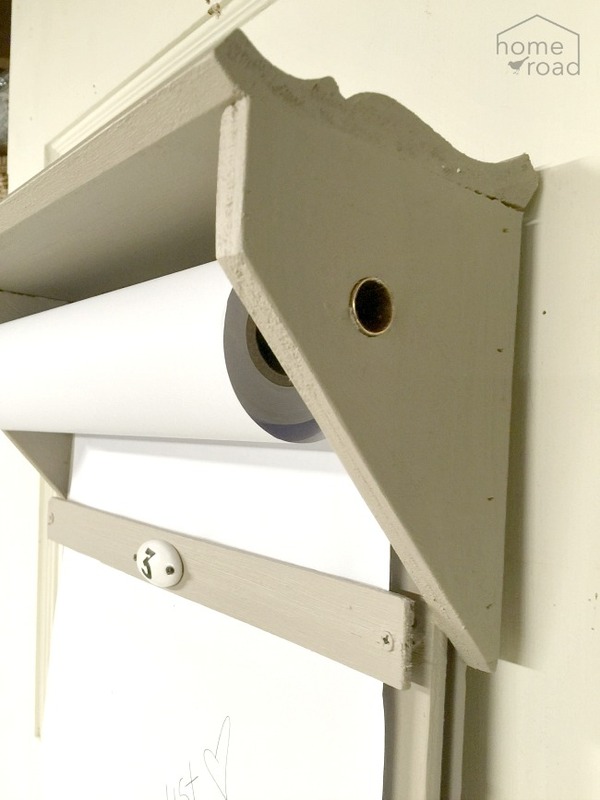 I removed the paper roll and painted the piece all one color. The paper slides under the newly painted rulers and down through the bottom where you can easily tear off paper as needed. 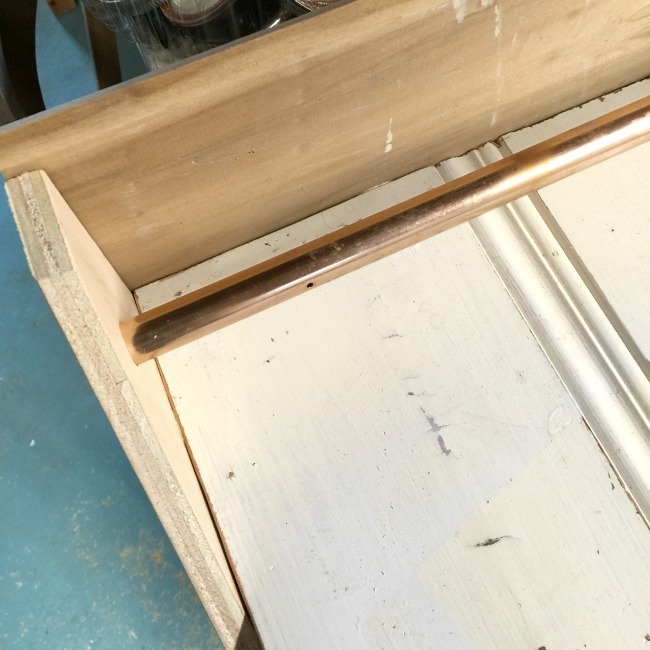 The copper pipe that holds the paper in place fits snuggly in the holes but can be removed so the paper roll can be removed. 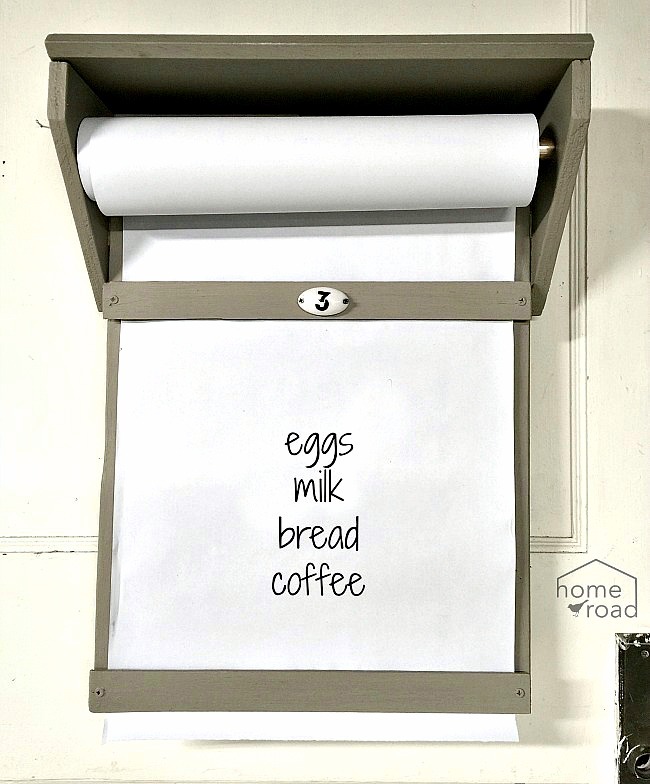 Please see below for a few more grocery lists I created for Homeroad. 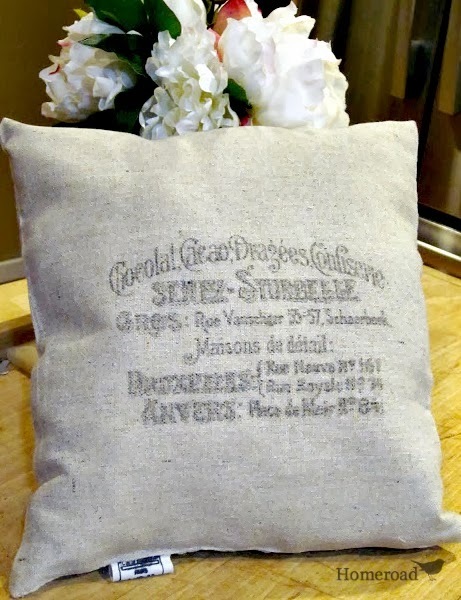 Vintage Inspired Kitchen Grocery List. Another winner Susan. Wish I lived close by your shop. 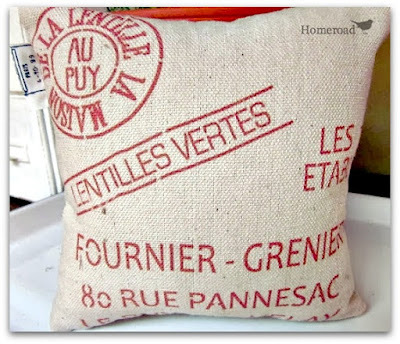 Every kitchen could use one of these, at least I know mine can!